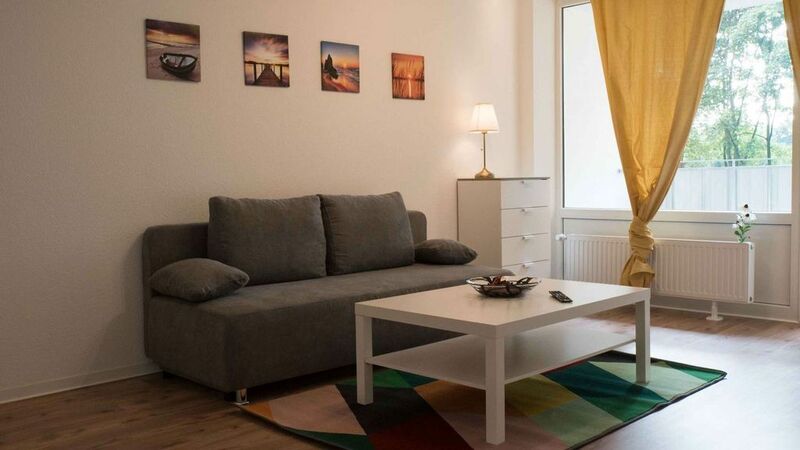 The apartment was renovated in 2017 and has been completely refurbished. The apartment is located near the center and yet in the countryside. Public parking is available right outside the front door. The apartment is accessible via a lift, which makes the shopping easy and the view from the balcony into the green all the more beautiful.